Kees Goudzwaard’s work is easily recognizable. 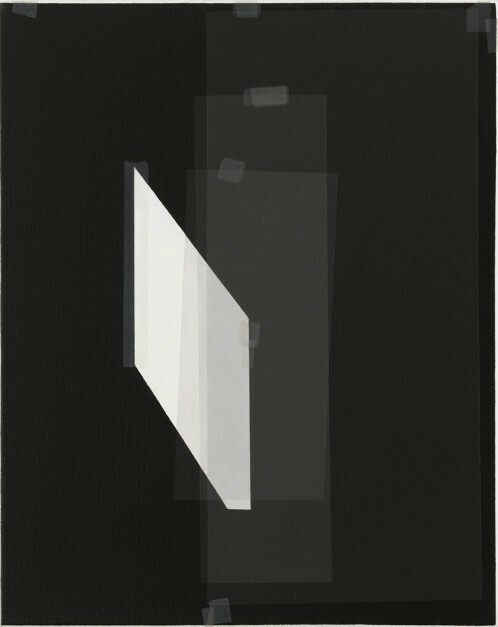 This is a consequence of the production process of the work, as Kees Goudzwaard commences by creating a collage of cut out square and rectangular pieces of coloured paper, acetate and transparent foil, which he composes in more or less regular grids by fixing them with paper masking-tape. This process is slow and complex, and develops gradually as it implies numerous decisions and a lot of looking and waiting until the artist finds he has achieved the desired composition and atmosphere. By looking at Kees Goudzwaard’s work we gain the capacity to imagine time without events: time as a totally abstract monolithic concept. This is why his production process becomes conceptually important while at the same time cannot be the key to interpret his work and returns to being simply instrumental. 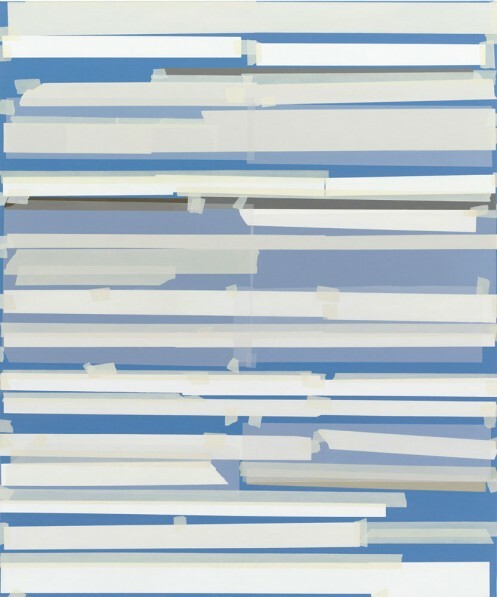 It explains why even if Kees Goudzwaard’s creativity manifests itself in the first phase of composing the paper and tape collages, it is the slow process of creating the paintings that allows him to capture time as a solid entity. Setting for White is the first solo-show in Italy of the internationally renowned Dutch artist Kees Goudzwaard.